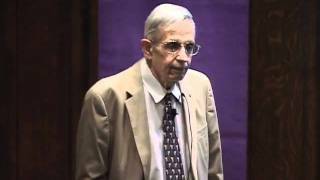 John F. Nash, Jr., Ph.D., nobel laureate at the Harry Mullin, M.D. Memorial Lecture on November 16, 2011. His topic was "Ideal Money and the Motivation of Savings and Thrift." 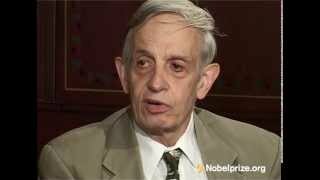 Dr. John Nash talks about the impact the Prize had on his life, his talent for mathematics as a child (5:38), the work that gave him the Prize (9:03), advice to young students (13:07), the important economic issues of today (2004) (15:26), and shares his thoughts about the movie on his life, 'A Beautiful Mind' (21:18).